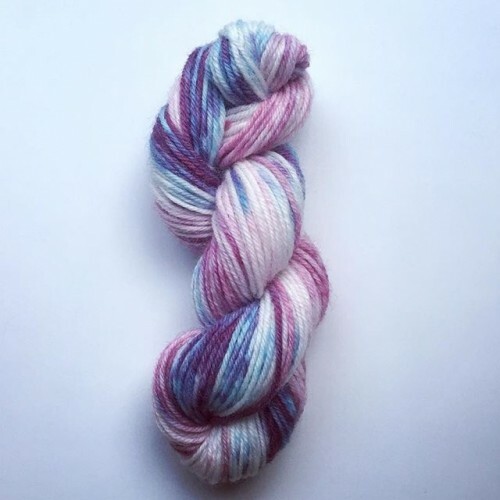 I’ve been having a great time dyeing yarn lately, if you follow me on Instagram (please do) you’ll see some of the colours I’ve been working with. I’ve also decided to take the plunge and invest in Acid Dyes and signed up to a new subscription box by Knitcrate . The box arrives once a month for 6 months, with a set of acid dyes, three bare (ready to dye) yarns and access to online lessons on yarn dyeing and even a free knitting pattern. I think I’ll pass the knitting pattern on to my mother, along with one or two skeins of my dyed yarn, and choose a special crochet pattern instead. In just a week or so it will be October and I’ve been preparing for the Nester’s 31 Day blogging challenge, this time hosted by Crystal Stine. Last year I spent the month of October writing about Craft Storage and this year I’m taking the plunge again and writing a new series about Colour. 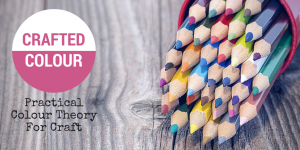 I’m calling it Crafted Colour – Practical Colour Theory for Craft Lovers and you can sign up here. This is how I’ll structure the month – the first week will be all about the colour wheel and basic colour theory. How to put colour schemes together and some do’s and dont’s. The second week I’ll delve into individual colours and which colours work best together. Week three I’ll help you develop your “colour eye” and send you out looking for the colour schemes I talked about in week one. 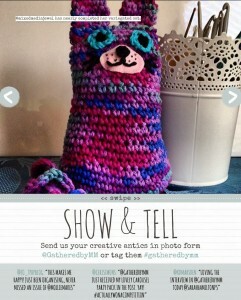 Take a photo and share your finds on Instagram with the hashtag #CraftedColour or on my Facebook page if you’d prefer. Finally in week four we can go on a craft adventure together when I share some colour palettes and challenge you to create something awesome! 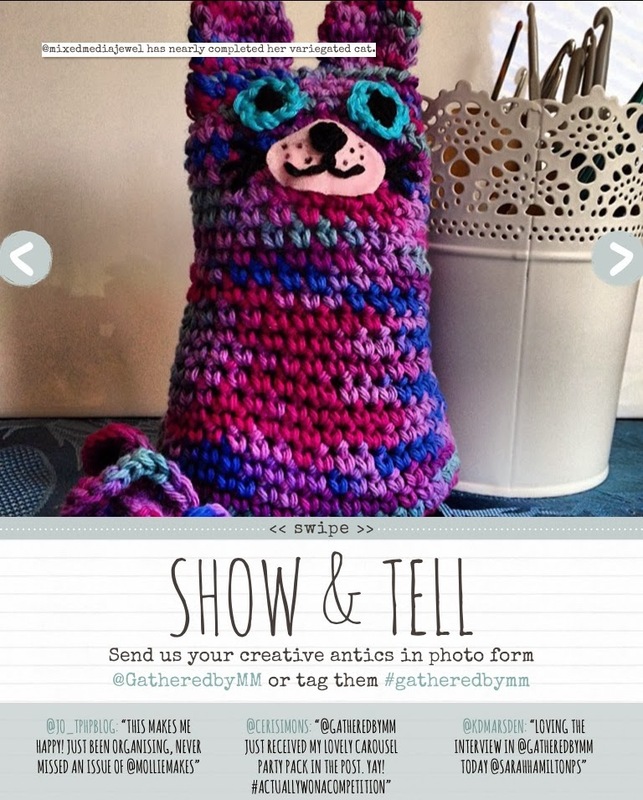 Again you can share your project on my Facebook page or on Instagram with the #CraftedColour hashtag. I really hope you join me for the exciting and colourful craft adventure. You can sign up and get the blog posts direct to your inbox here. Time to go and write (gulp) 31 blog posts!! 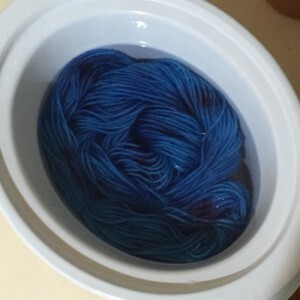 I’ve been having a bit of fun this week dyeing yarn in my crock pot, or slow cooker as we call it here in Australia. My local big craft store had a sale on yarn and I picked up some balls of cream wool and Wilton’s food dye. 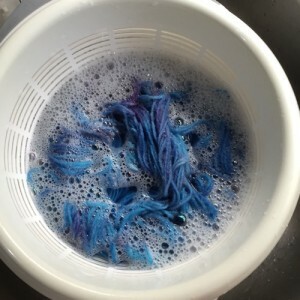 About six months ago I tried dyeing yarn in my microwave and on the stove top and discovered it’s quite easy to felt the wool if you’re not careful. 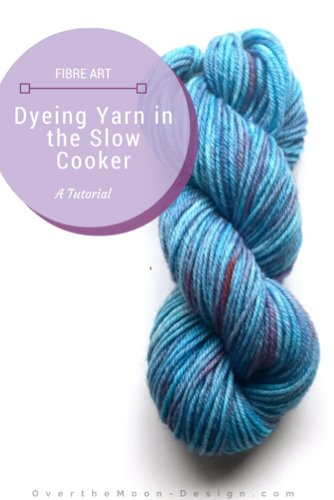 Dyeing your yarn in the crock pot is so much easier! Step 1 Grab your ball of wool and wind it into a hank, I found winding it around the backs of two chairs is the easiest way. Loosely tie the hank in four of five places so it doesn’t tangle. Step 2 Take your bowl and fill it with luke warm water and add a 1/4 cup of vinegar and soak the yarn for at least half an hour. Step 3 After half an hour (at least) slide the yarn and enough vinegar-y water into your crock pot to cover the yarn completely. Put the lid on and turn up to HIGH. Now it’s time to mix some dye. Step 4 Open up your jar of Wilton’s gel dye, you’ll need about 1/8 to 1/4 teaspoon of dye in a glass jar mixed in with hot water. Stir well and set aside until you can see the steam rising from the crock pot. Step 5 Now is the time to get a little artistic. You can pour the dye in or add it in little pools, leaving sections without dye. If you’re using more than one colour try to keep the areas of dye separate. Put the lid back on the crock pot and leave it for half and hour. Step 6 After half an hour lift the lid and drizzle in some more vinegar. Dyes with red will set first in low acidity and by adding more vinegar the blues will set next. Put the lid back on and check again in an hour or so. Step 7 Use the chopsticks to carefully check if all the dye exhausts (that’s when the dye sticks to the yarn and the water is clear). 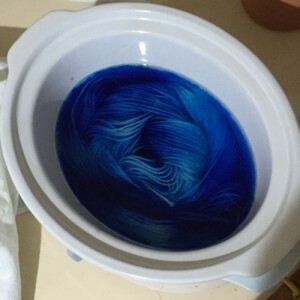 Here you can see the dye has exhausted into the yarn. You can turn the crock pot off now and allow to cool down. 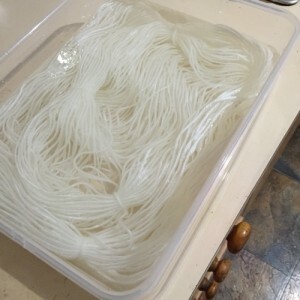 If you are a little impatient you can use the chopsticks to lift the yarn into a colander to drain and cool. Don’t handle the yarn too much while it is hot as it will easily felt. Step 8 When the yarn is cool add some wool wash and rinse well until the water runs completely clear. Step 9 Gently squeeze the water from the yarn, again be gentle you don’t want to felt the yarn. Hang it out to dry, preferably in the shade. And here’s some of the yarn I’ve dyed in the past week. If you have any questions leave them in the comments and I’ll do my best to answer them or try out some of your suggestions! I’ve finally finish both of my scrap yarn projects, snuggle blankets for our cats, Tigger and Thea. Here’s a photo of Thea I shared on Instagram a while back with her blanket. I crochet a large granny square in acrylic 8ply/DK yarn in interlocking stripes and backed it with fleece fabric and finished it with a shell border. My favourite part of this blanket is the skip blade I bought for my rotary cutter. It cuts small slits in the edge of the fleece so I can attach the backing fabric to the granny square. The next crochet project is a significantly larger one called Sophie’s Universe. *Disclaimer: This post contains affiliate links. Please see my Policies page for further information. It’s been especially chilly here in our tiny hills cottage in South Australia recently. The daytime temperature has been lucky to reach 10ºC (50ºF) and we’ve been experiencing lots of strong winds and icy rains. With the family bonfire night in a few weeks some warm handmade crochet beanies are exactly what we need. 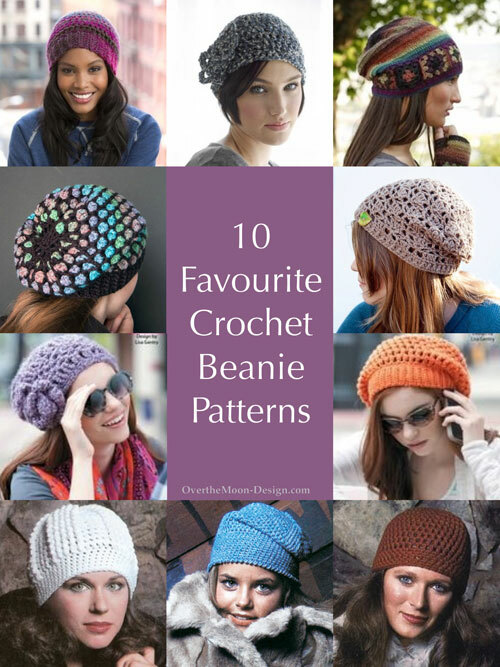 Here are my top 10 favourite crochet beanie patterns, some free and others costing just a dollar or two via download. I’ve included some of the popular slouch style hats for the young at heart and two classic cloche style beanies. 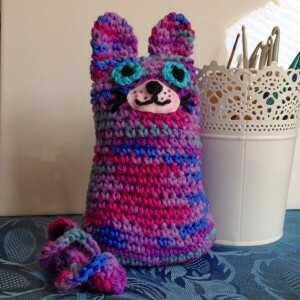 The first five patterns are free patterns from Lion Brand (free account required), Garn Studio and Moogly. The last five patterns are links to paid epatterns from Leisure Arts. I rather like the colours of the Moroccan Slouch but the Cluster Stitch Cloche looks very warm and cosy. Which beanie is your favourite? Are you a cloche or a slouch kinda gal, or perhaps you prefer a classic style? Let me know in the comments below. I’ve been published, just a little bit! How to you get published a little bit? Here’s how it all came about. Since my jewellery making muse is on the fritz I’ve been indulging in some of my other creative pursuits, mostly crochet. A couple of weeks ago I discovered an Australian site, Yarnover, that sells Lily Sugar ‘n Cream cotton yarn and my favourite (but expensive) crochet hooks, Tulip Etimo. I received my order early last week and promptly went in search of a couple of patterns for the Sugar ‘n cream yarn. I made this pretty crochet Kitty adapted from a pattern by Janette of the Green Dragonfly. Being me, I tweaked the pattern to include a full twisty tail, some extra shaping in the ears and around the face. 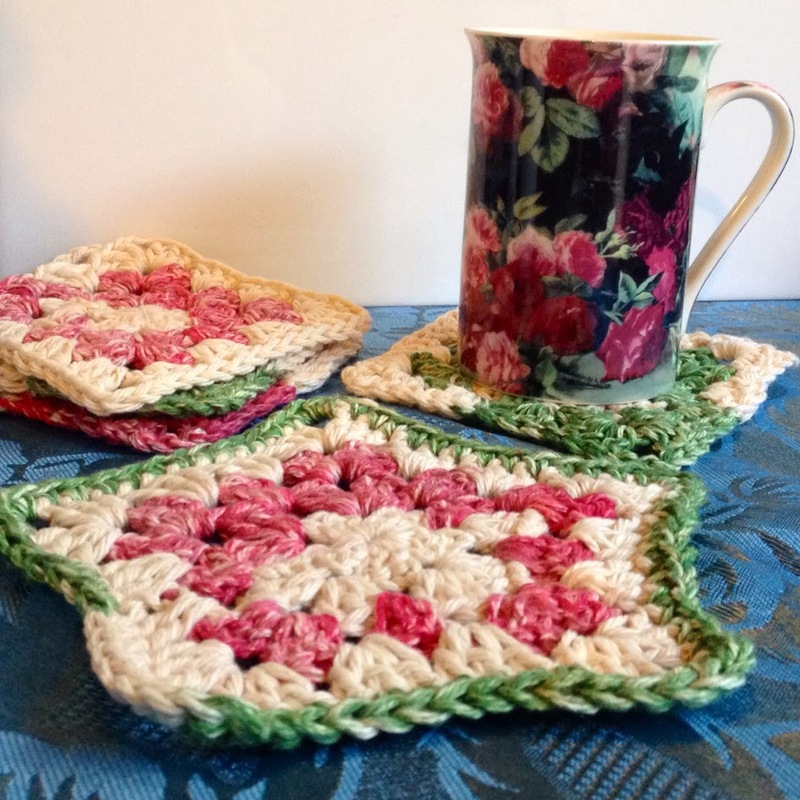 I also made these Christmas Coasters, just a set of plain granny squares and a star shaped hot pad for a teapot or coffee plunger. I was so please by how they turned out I snapped a couple of photos and uploaded them to Instagram. Low and behold on Tuesday evening I received an email from Nina, a Production Assistant for the magazine, asking me if they could use my photo in their Show and Tell section of Gathered by Mollie Makes. I happily said yes, without even checking which photo! I downloaded the magazine on Saturday and here she is… My Pretty KittyCat lifted right off the iPad. I still have one or two embellishments to add, a butterfly for her tail and a heart shaped pocked with flowers. If you’d like to be featured in Gathered upload a picture to Instagram, Twitter or Facebook and tag them #gatheredbymm. And that my friends is how you get just a little bit published.